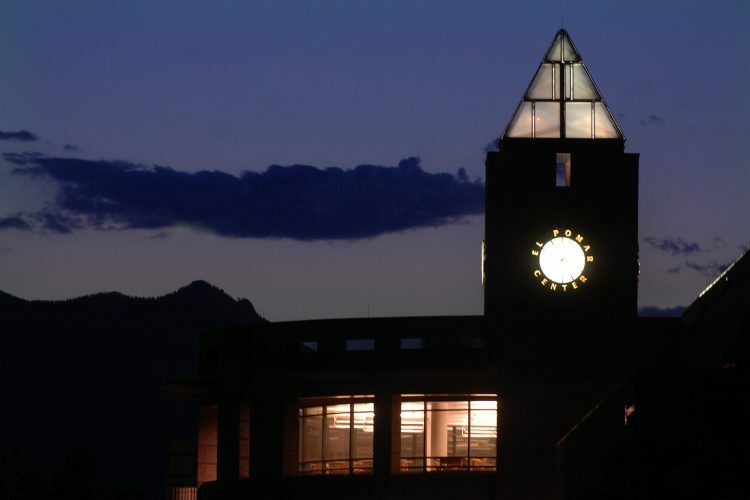 The University of Colorado reached a new record for research funding in the 2017-18 fiscal year, as faculty merited $1.053 billion in federal, state and local awards, based on preliminary figures. This is the second consecutive year the four-campus university system has topped $1 billion in annual sponsored research funding. This year’s preliminary total shows a 1.8 percent increase over last year; final figures are expected later this year. Most sponsored research funding is awarded by federal agencies. In 2017-18, CU received $663.5 million in federal awards (up 4.2 percent) and $389.6 million in non-federal awards (down 1.9 percent). University of Colorado Anschutz Medical Campus: $516.2 million. As part of a research partnership designed to speed up development of new treatments to address the greatest health needs of Coloradans, the National Institutes of Health (NIH) earlier this year awarded $46.5 million to the campus and its Colorado Clinical and Translational Sciences Institute (CCTSI). In 2008, the CCTSI was launched with a grant of $76 million – the largest biomedical research and training award in the state’s history. This new five-year award brings the total funding from NIH to the CCTSI to more than $187 million. University of Colorado Boulder: $511.1 million. A six-year, $50 million grant from NASA is supporting the work of the CU Boulder-based National Snow and Ice Data Center (NSIDC). The center manages and operates NASA’s Earth Observing System Data and Information System Snow and Ice Distributed Active Archive Center. The data and information provided via the NSIDC supports NASA’s mission in understanding how the planet’s natural resources and climate are changing now and might change in the future. University of Colorado Denver: $18.8 million. Researchers in the College of Liberal Arts and Science received $466,498 from the NIH’s National Institute of General Medical Sciences to continue a study of the toxic deposits (or “plaques”), commonly found in brain tissue that characterize Alzheimer’s disease. A team led by Liliya Vugmeyster, associate professor, Department of Chemistry, is investigating the factors responsible for formation and stabilization of these plaques, which is key to discovering the molecular basis of the disease, revealing potential targets and enhanced strategies for pharmaceutical interventions. University of Colorado Colorado Springs: $6.9 million. A $432,000 award from the NIH is supporting Eugenia Olesnicky Killian, associate professor, Department of Biology, for her work in identifying the impact of abnormal splicing by RNA-binding proteins on neurological diseases. Recent research has implicated inappropriate splicing in spinal muscular atrophy and other neurodegenerative disorders, yet the question remains how aberrant splicing results in neurodegeneration. Sponsored research funding from federal, state and local entities targets specific projects to advance research in laboratories and in the field. Research funding also helps pay for research-related capital improvements, scientific equipment, travel and salaries for research and support staff and student assistantships. CU cannot divert this funding to non-research-related expenses. A great deal of sponsored research funding is directed to departments and researchers with unique expertise, such as biotechnology and aerospace, which stimulates industry.